Arizona Fall League rosters were announce today, and the Dodgers are sending eight prospects, highlighted by 20-year-old Keibert Ruiz. Holmes, almost 27, is a fringe-prospect and joined the Dodgers’ organization after he was released by the Marlins. In 51 innings between High-A and Double-A, he has a 2.29 ERA and a 26.4 percent strikeout rate. Perhaps he’s a late-bloomer, and the Dodgers think enough of him to send him to the AFL, so that’s good news for him. Long, 24, is the tallest player in the org (6’10) and has carved out a nice role as a relief pitcher. Between Rancho and Tulsa, he has a 3.10 ERA and has struck out almost 32 percent of the hitters he has faced. He has enjoyed far more success in High-A than Double-A, but he’s pretty good at missing MiLB bats. Robinson is a glove-first infielder who could legitimately stick at shortstop. He does have 10 home runs for Tulsa this season and the AFL will be a big test for the 23-year-old. Scrubb, 23, has enjoyed a strong season in A-ball — both Great Lakes and Rancho — and has recently moved to Double-A. 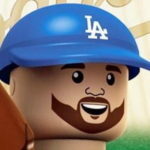 Combined, he has a 2.69 ERA and has struck out 26.5 percent of the hitters he has faced. He’s an interesting relief prospect to monitor in the AFL and next season. Sheffield, 23, missed most of the season due to a forearm strain. Since the former supplemental 1st-rounder has only thrown 35 innings this season (5.90 ERA, 24.4 K%), it was a near-lock he’d be heading to Arizona for some extended work. Thomas has enjoyed a bit of a breakout season. He’s still raw despite being 23, but his power is emerging and his athleticism will help him remain a relevant prospect. The AFL will be a nice test for him. Walker, a former 5th-rounder, has broken out this season. He’s done most of his damage with Rancho Cucamonga. Overall, he has 23 home runs and a triple slash line of 250/.354/.533. He was drafted as a third baseman, but has played a lot of first base and some second base to go along with his work at the hot corner. 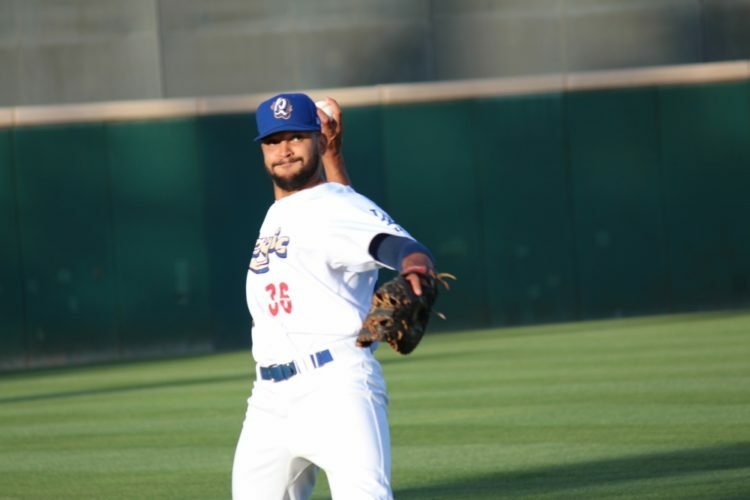 Ruiz is the biggest prospect from the Dodgers’ farm going to the AFL. He has found his power stroke a bit in Double-A, but on the whole, it’s been a mediocre season for him. That’s not unexpected because he’s just 20 years old. Still, he has limited his strikeout rate (as he has his whole career) and 2019 should be a big season for the blue chip catching prospect. One guy I thought might get the nod for Arizona would be Mitchell White. He got a late start to the season and really struggled for a good portion of it. Lately, though, he has pitched incredibly well and looks more like his 2017 self. He’ll likely go to the instructional league and get some extended work there before (hopefully) getting an invite to big league camp next spring training.